One of our favorite things to do is to review products in person. We love getting our hands on the stuff and seeing how easy it is to use and how cool the features are. We particularly enjoy technology products that allow us to go into full investigator mode. Recently, we got our hands on the BENQ Home Theater Projector and we were pleasantly surprised by it. The first thing we wanted to do is check into the product online to see what other reviews from real customers said about the product. We do this with each and every tech product, because everyone may have different experiences compared to us. 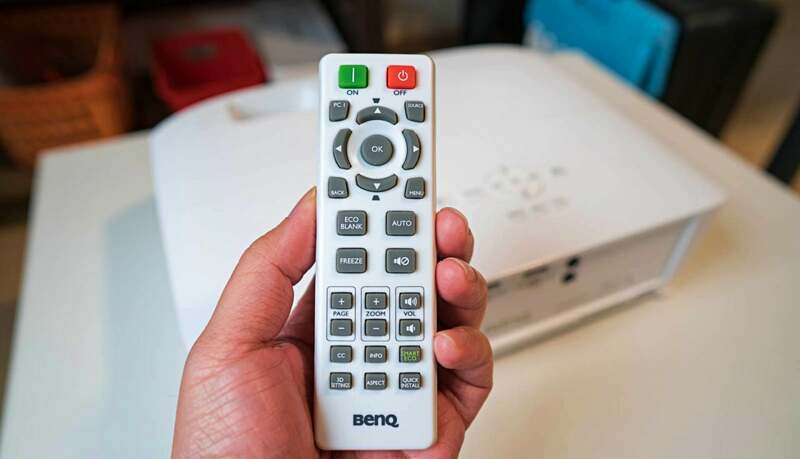 For the BENQ Home Theater Projector, we were looking for some key things that an average customer may or may not know. When it comes to projectors, we knew what to look for and how to fix any random issue. Meanwhile, others may not. Some are also new to projectors and do not expect some of the things that come with them. All of this is common with new users and even some veterans to the industry. For the BENQ Home Theater, we put it through a few grading challenges. This came down to what it includes, how it works, how easy it is to use, and some unknown things that you find out when using it. Let’s get down to grading! 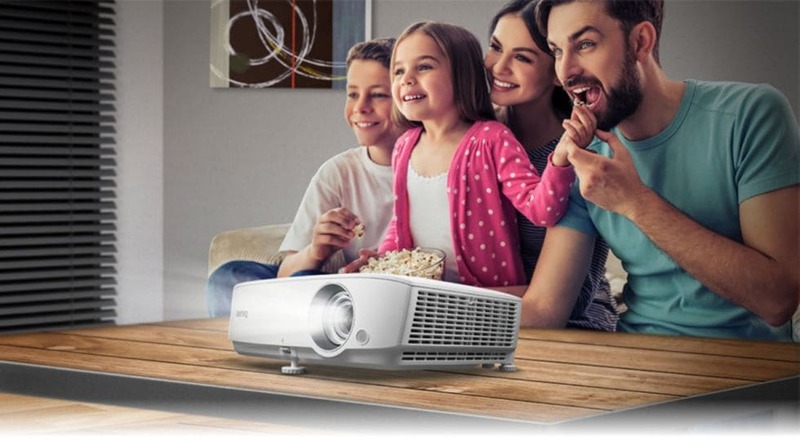 The BENQ Home Theater Projector is designed to do as it seems, to use in the home. However, it has several settings we’ll get to later that reveals it is much more than an in-home product. In any case, the first thing we like to do is open the box and look at the projector to see certain signs. Is it really light or heavy? Do you need to know much about it to start it? Are the directions easy to comprehend? Could you even use this without directions? Are there any unexpected things that make this product different? We’re proud to give the BENQ Home Theater Projector a passing grade on this. We were quite pleased with how easy it was to use. Since we know a little about projectors, we were able to open it up and turn it on right away. However, you don’t need to know a lot. Everything is given to you to succeed from step one. You can see it all on the projector itself or the included remote. Meanwhile, the directions highlight exactly what goes into what and how you need to start it up. They even tell you what to do when you have it on. Partially the directions could use an update with more words around the images to give detailed direction to those that might need it. However, this was the only flaw in there to us. From opening the box to the start of watching something took us less than 5 minutes. That is impressive for sure! One really big issue with projectors over the years is that they rarely looked good. We all still assume projectors will be like those we had in high school. However, this could not be further from how they operate and look today. The reason for this has to do with DLP and its Full HD status. DLP stands for Digital Light Processing, and this has a lot to do with why the picture looks so good. Basically, the brightness and overall look are improved over standard projectors. Essentially, it was as important an addition to the at-home projector as HD was to television years ago. In essence, it’s massively different. Not every projector is the same in its use of DLP Technology, however. Some include more impressive versions of the tech while others use lesser types. However, they can all look good. In the case of the BENQ Home Theater Projector, we found the picture looked impressive from the start. We decided to try it out on various surfaces to see if it could work anywhere. Not only did it work on randoms walls and floors, but just about anywhere else you could think of. It manages to be capable of this due to the brightness level it has. Truly, you could shine it onto anything and it can work perfectly. Heck, you could use it for big backyard movies in the summer, on a camping trip, and obviously in-doors with your family on a Sunday evening. 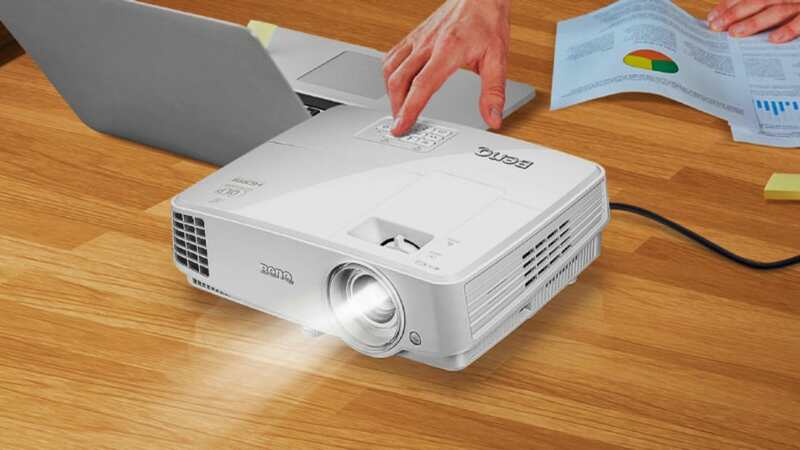 You’ll no longer need to worry about getting some fancy screen for your projector to shine onto. BENQ made it possible to watch anywhere, anytime you choose. Due to what it brings to the table, it looks good no matter what. This is spectacular. The BENQ Home Theater Projector has a lot of specs to keep in mind. We know BENQ is the #1 DLP Technology Projector company out there. However, we did not know they were capable of such amazing work. First and foremost, you need to notice a few key things. It is capable of connecting to the computer, so whatever imagery your monitor or laptop screen sees, the projector can see the same. This gives it a picture appearance of 1080p most of the time, but also basic 4K as well. They even have a 3D mode if you’re feeling like using it. The front of the projector is where the real magic happens. It is here that you can zoom and/or make sure to focus the picture. This will allow you to go from the blurry image you see initially to the perfect image you expect. While you can listen to the video via your computer speaker(s), you can also attach speakers to this. The BENQ Home Theater Projector is capable of attaching several speakers and can especially hook up to a nice surround sound system. They give you a nice VGA cable with the projector’s purchase, but you can also use an HDMI cable as well as USB drives or connections. This versatility is something we love to see out of BENQ. Also, remember that brightness adjustment we mentioned BENQ fixed up. Due to this, it adjusts to the room it is in. This means you don’t need a dark theater room to watch. It could be sunny out and you’ll get just as good a picture on this as you will on your TV during the same time periods. 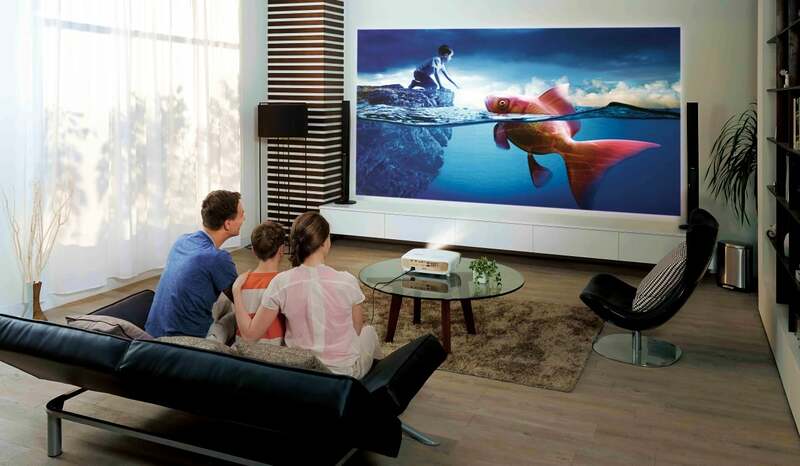 We’re big fans of the BENQ Home Theater Projector because it can do just about anything we want. It can be adjusted to fit wherever you might put a projector in your home. However, one of the key things to remember about this projector is its temperature control. When it’s first coming on, it is not only adjusting to the light but it’s getting warmer and getting better in its picture. This is essential to the working of the device, so you need to keep that in mind. On top of this, it has an area where the heat comes out only on one side. This is useful for a few reasons. The first is that you can always sit on the other side or away from the heat. Second, you don’t have to hear the loud dual fan system during your movie or TV watching experience. On top of this, the lamp is impressive as well. They even have an Eco-Control on the system that allows you to turn it off to save the lamp’s power. Called the “Eco Blank,” the screen goes blank during the show or film you’re watching when you use this. It may not seem like much, but turning it off a few times during use of it can save you money long term. This is useful, as you’re literally saving tons of money over a long period of time. The utilization of the SmartEco™ Mode allows you to save up to 70% of the lamp’s actual power while still getting the best possible picture. It also turns itself off when not in activity for around 20 minutes. All of this helps to eliminate unnecessary radiation or electrical waste, thus saving energy. It’s hard to score the BENQ Home Theater Projector any lower than an A! We give it such a score because we feel it is hard to make a perfect projector. Yet they achieved it, as we can get whatever we want out of this thing. We know what we’re watching WrestleMania on this Sunday for sure! If you’d like to buy the BENQ Home Theater Projector, you can CLICK HERE to go straight there. To be sure to you’ll get the right product, you need the model number. Search MH535FHD and it should pop right up on the site for you to buy. They even offer a 3-year warranty on your device. When you get the device in the mail, it dictates to you what type of warranty you have based on the continent or country you’re in. 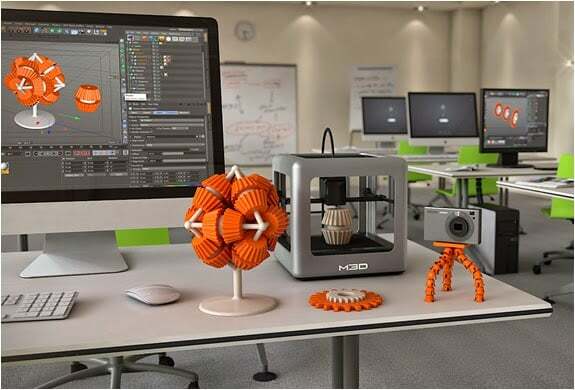 If you want to learn more about the warranty for the devices and what to expect with your warranty regarding each individual project, click here. If you would like your product reviewed and featured on Men’s Gear as well as its vast social media channels, e-mail Joe@Mensgear.net today! 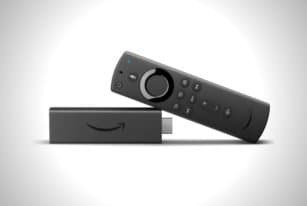 Amazon is ready to bring 4K playback to its entry-level streaming stick lineup. The Fire TV Stick 4K, delivers Ultra HD and HDR streaming for just $50. 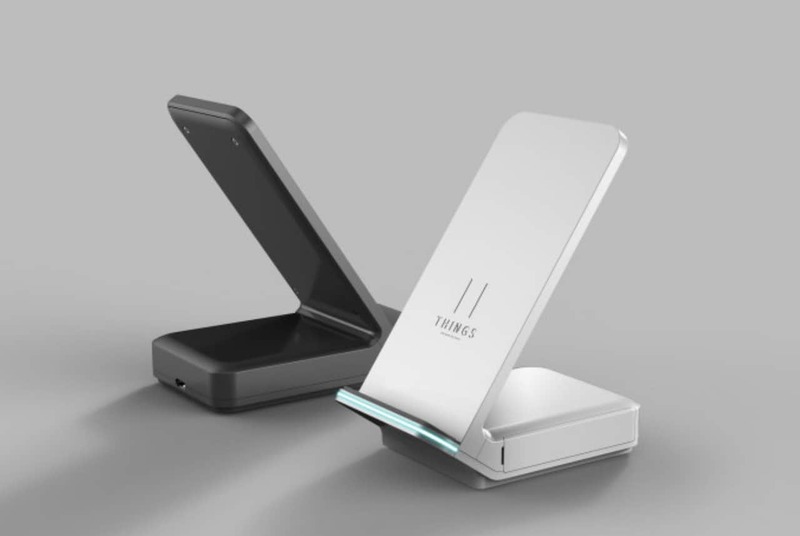 Things Hybrid Charger features a retractable cable underneath its frame. 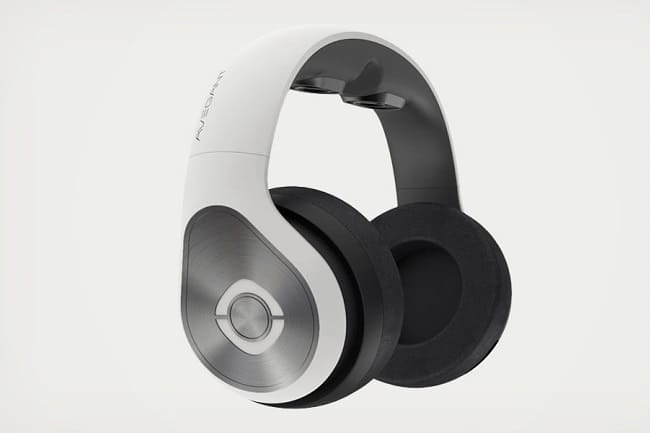 It offers wired and wireless charging and powers up devices in 35 minutes. We like drones for their incredible footage, but their potential goes beyond film. 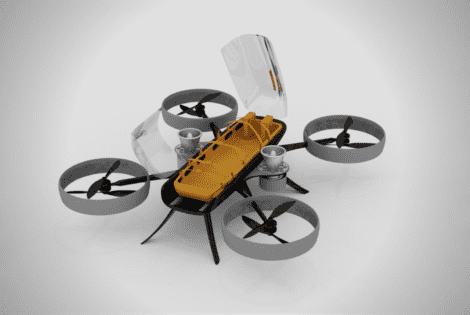 This concept drone by Vincenzo Navanteri takes things further. 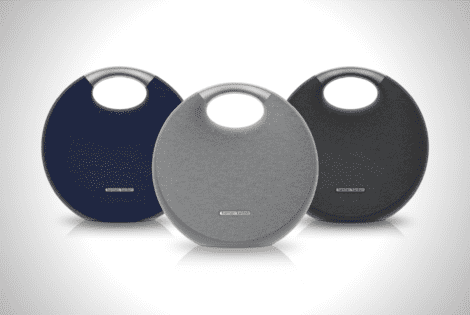 Harman Kardon’s Onyx Studio speakers series grows by one with the Onyx Studio 5, the latest wireless speaker to carry the maker’s Dual Sound feature.